Take the time to explore the the diversity of this great coastal road in a relaxed and comfortable style. Discover the wildlife, coastal towns, Ocean view accommodation, beautiful food, rain forests, 12 Apostles and shipwreck history. Our focus then turns to Australian native wildlife as we observe Eastern Grey Kangaroos in the wild. This is one of many opportunities to see and hear about our unique and unusual animals in their native habitat. Our journey then begins travelling the very scenic, cliff-hugging section of the Great Ocean Road. While winding our way along we stop to view sites such as the ‘Memorial Arch’ and tell you of the intriguing story of this incredible road. Lorne is the largest of the seaside resorts, with its abundance of cafes and restaurants it is a perfect place for a lunch break. You may even find time to have a swim or do some shopping. 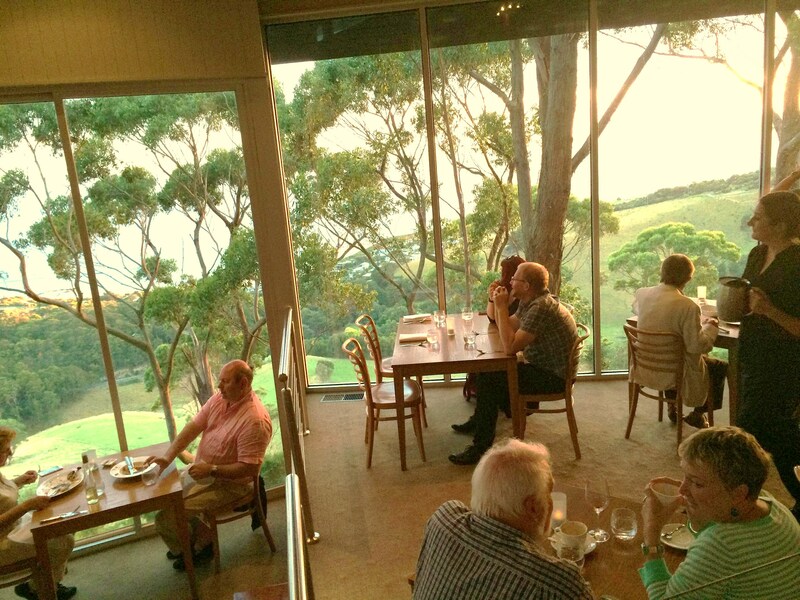 We visit Apollo Bay before checking in to ‘Beacon Point Ocean View Villas’. Your private self contained villa is set high on a hill overlooking the Southern Ocean. This amazing setting is a great place to relax and unwind for a couple of hours. We have dinner tonight at the famous Chris's at Beacon Point. This restaurant is the only local restaurant to be awarded a 'Chefs Hat' and boasts an extensive menu that utilizes great local produce in a modern Greek-Australian way. Our second day starts with breakfast at the ‘locals favourite’ Bay Leaf Cafe. Great coffee, tea and vast breakfast menu make this a perfect way to start another full day. Our journey starts with us travelling through the Otway ranges and onto the ‘Shipwreck Coast’. Our first stop is at Castle Cove overlooking the Aire river valley. Your guide will introduce you to the strong Aboriginal heritage of the region with many tribes living prosperously around the coastline for thousands of years. In the same area millions of years ago when Australia was part of the great southern land, Gondwana, dinosaurs were roaming the land. A unique find along the coast in 1987 uncovered important clues into the world’s pre-historic past. The 12 Apostles are Icons of Australia’s natural beauty. We arrive as the stacks are lit with the morning sun making them perfect for photos and crowd free. This is a bonus for taking a 2 day trip as the stacks are silhouettes in the afternoon and overcrowded. After hearing of the creation of the stacks and holding some of the limestone rock you can explore the boardwalks or brave a helicopter flight along the coastline (own expense). We then visit ‘Loch Ard Gorge’, the site of the most famous 19th century Australian shipwreck. We retell the entire story from the calm voyage, the tragic wreck, the courageous survivors and their ultimate fate. While hearing the tale you will be able to see and hold some original artefacts, photos and documents from the ‘Loch Ard’ contained in our treasure chests. Port Campbell is our lunch stop for today. The small fishing village of just 350 is set in a beautiful natural port and has some wonderful cafes and restaurants for food and views. After lunch we travel to a lesser known but highly impressive area of the Great Ocean Road west of Port Campbell. This section takes in London Bridge, Bay of Islands, Bay of Martyrs, and Boat Bay before our journey turns inland and travels through open farmland towards Melbourne arriving there around 6pm. Our 2 Day Great Ocean Road tour departs at 0830 from Melbourne. Pickups are available from all city hotels within Melbourne. Passengers will be dropped at any Melbourne CBD location at 1730 at the completion of the tour.